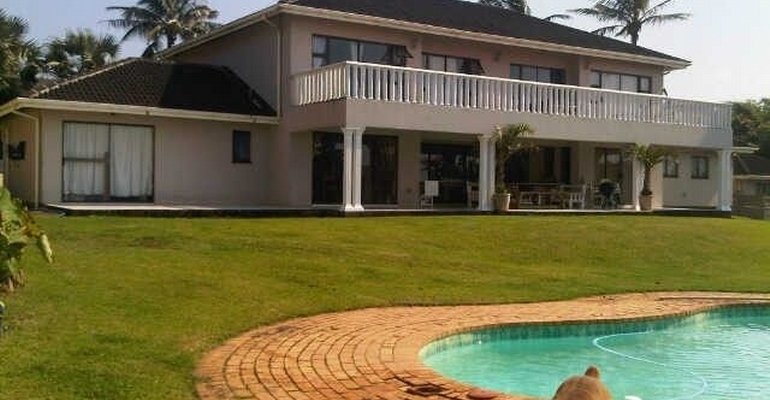 Sea Breeze Manor is a spacious self catering holiday house in Hibberdene with direct access to the beach. The house has 6 bedrooms and can sleep up to 24 people, making it ideal for big groups or a family get together. Enjoy the sea view from the swimming pool while the kids play in the garden. Relax with a nice braai underneath the lapa. The property is within walking distance to the shops as well as Hibberdene's Blue Flag beach. More or less 5km from the driving range and close to a very popular fishing spot. With this house you can have it all!